Microsoft Silver Certified Partner, validating our mastery in using Microsoft tools, technologies and Cloud offerings. Our close relationship with Microsoft helps us implement Microsoft's "best practices" combined with our proven industry experience in cost effective way. Silver Certified Partners represent expertise and competence with Microsoft technologies, and have the closest working relationship with Microsoft. At this level, we have access to the resources and support required to stand out in the marketplace, including a technical services coordinator, access to the Partner Knowledge Base and other top-level benefits. Value: Being a certified partner of Cisco we are able to deliver value-added services for the SMB market. Proven Technical Expertise: We have sales and technical expertise in switching, routing, security, and wireless solutions for SMB customer’s, which allows us to provide the new solutions as per the customers demand. Focus on customer satisfaction: VITS is devoted to provide highest level of customer satisfaction. VITS evaluates its own performance with access to the customer satisfaction evaluation tools to identify strengths and develop targeted plans to serve your needs. Cisco Select Certified Partners benefit from an increased level of support from Cisco, including access to best-in-class products and services, technical support, productivity tools, online training, and marketing resources. As a SonicWALL partner, we have achieved the level of SonicWALL security-trained expertise. SonicWALL partnership enables us to offer you end-to-end security solutions backed by SonicWALL's commitment to provide the latest controls for your network's security requirements. As an HP partner VITS provides great experience, expertise, integrity and accountability. We offer competitive pricing, custom configuration of your equipment, and help carve out the best solutions for your business. We offer competitively priced products and services in direct, indirect, local and national market with limited budgets. When you work with us, be assured you're getting the right technology at the right price. Products and services are delivered quickly and at reduced prices by us. Since VITS has access to HP’s best in industry product portfolio, we provide just the best solution for your specific needs. As Dell Partner Direct partner, VITS has access to sales and services resources helps us further reduce your procurement and renewal hardware cost. Dell's reliability and after sales warranty make them one of the the best choice for your business. A higly recommended additional insurance policy of 4 hour onsite Parts and Labor Warranties for servers ensures that downtime is mitigated in the event of key component failure. As a Lenovo Partner, VITS is able to provide competitively priced products and services and design solutions which are best catered to your business requirements. VITS is a certified VMware Professional Partner, we are trained and certified in VMware technologies. VITS has proven industry experience in designing and implementing data center, servers and desktop virtualization. Virtual solutions help organizations maximize physical IT infrastructure by allowing cost saving while remaining flexible. We are equipped to design solutions to seamlessly integrate into any IT environment. Our strategic AWS Partnership allows us to offer comprehensive and cost effective cloud computing services which help us stand out from our competitors. With access to numerous technical AWS based business technical expertise, VITS can assist architect, design, build, migrate and manage various cloud services and applications on AWS. VITS is a certified Platinum 3CX partner and has the ability to provide World class, cost effective, feature rich Software Based IP Phone System on premise on Hosted VoIP Solutions. 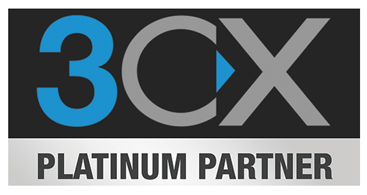 3CX Phone System is a software-based IP PBX that replaces a proprietary hardware PBX / PABX. 3CX’s IP PBX is based on the SIP standard, making it easier to manage and allowing you to use any SIP phone (software or hardware). 3CX is easier to install and manage via web-based configuration interface, far less expensive to purchase and expand than a hardware-based PBX / PABX, and improves productivity with presence. In addition, desktop based call control and extension management, mobility by allowing employees to work from home using a remote extension, and the choice between popular IP hardware phones or softphones – no vendor lock in and Save on monthly call costs using SIP trunks, VoIP providers or Skype Connect are all features which come with this great service. VITS is a certified Veeam ProPartner and Veeam Cloud Service Provider. As a Veeam Pro and Cloud partner, VITS has demonstrated high level of technical and sales skills expertise. Our engineers have real word understanding of deploying the VEEAM in VMWare and Hyper-V virtualized environments. Veeam enables Disaster Recovery-as-a-Service (DRaaS) as part of a comprehensive availability strategy, embracing investments made in your datacenter and extending them through the hybrid cloud. As a Datto partner, we provide value-added business continuity & Disaster Recovery solutions to protects essential business data for our clients, delivering uninterrupted access to data on site, in transit, and in the cloud. As a Sophos partner, and with help of VITS extensive industry experience, we provide our clients with end-to-end security solutions backed by Sophos commitment to provide the latest controls for your security requirements.